A number of readers have written in to let us know that Angel Feet Reflexology is closing. Diane writes, "This lovely business has soothed the soles and souls of New Yorkers since 1995 in its tiny space on Perry Street. Another victim of rising rents. The women who work here are all kind, caring, and gifted and they are all heartbroken to see this community broken up." May 31 will be their last day. "Regarding our closure, it was a number of things affecting our expenses, including a rent hike, and no matter how hard we tried we just couldn’t generate enough business to cover all of these expenses. The rent hike was the last straw. New York City and State claim to be supportive of small business, but the taxes and regulations are disproportionate to what a small business can actually bring in. Angel Feet was a small woman-owned business in its 20th year. We have supporters and clients all over the world and it has been heartbreaking to say goodbye to them. I hope that New York may at some point in the near future reclaim the spirit that inspired the immigrants of the last century to come here to see the birth of their dreams and allow small family run and women owned businesses to thrive. We were there and we can be there again if the government will allow the individual creative spirit to flourish!" 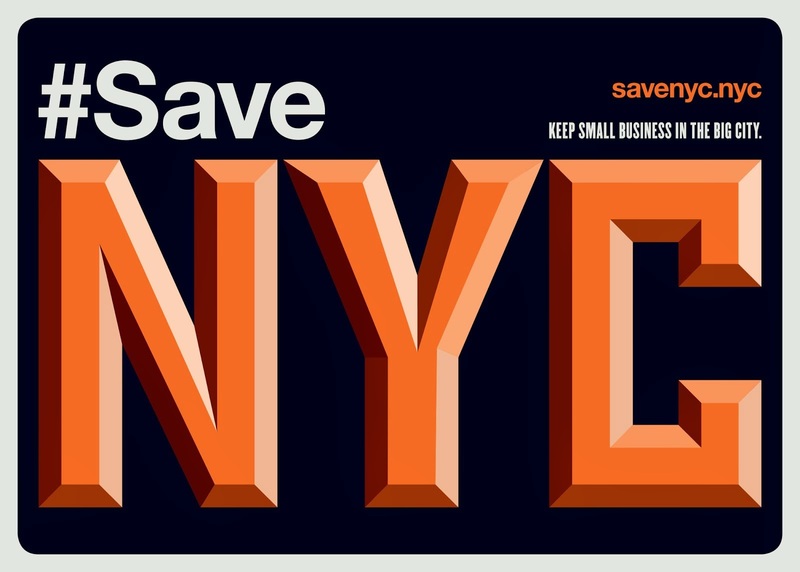 If you want to help protect small businesses in New York City, check out #SaveNYC. How awful. I'm so sorry for these women who have grown and sustained their livelihoods and passion for their craft for so long. I was in Austin, TX. for business last week. They're becoming cramped with people, but the small independent business is hiring and thriving all over town there. We on the other hand are throwing it away as fast as we can and for what? Our government 'leaders' are too inept to do anything about it, and probably dont care. The difference, of course, between Austin Texas and NYC is that Austin has unbounded room for growth and development, wheres Manhattan is a very, very finite island, already completely covered. Thus, our property values continue to skyrocket, property taxes will follow that trajectory, ad infintum. The two cities are like apples and oranges. A more apt comparison might be drawn between NYC and Hong Kong (or Singapore, perhaps). Cuomo gave big speeches during that New York was open for business - so not true. Staff at this agency don't return phone calls, have no pulse of what is really going on in the small business community and don't do any outreach. Businesses in Harlem are still waiting for assistance for the Con Ed blast. If only Scary, Moneyranda, Harlot, and Samehntha had soothed their soles after walking all over -- metaphorically and literally -- NYC in their Jimmy Choos and Miu Miu, then maybe the Scary Sadshaws would've flocked this business, so that, you know, they can live that SATC fantasy. Fabulous! I agree Scout, but you'd hope the 2nd part of Anon's comment--the leadership factor--would step up and do SOMETHING to protect the small business community so we dont lose our entire identity. Alas, they probably wont and I agree with Anon, probably dont care. Anonymous 10:20 - I think that NYC's"leadership" (a phrase which makes me laugh with bitterness) cares only about amassing as many tax dollars as possible, and spending those dollars on self-glorifying ridiculous mega-projects and their own raises. Angel feet has reopened as Perry Street reflexology- those wonderful women decided to re-open it themselves! Grand opening was this week.